The Dodge Avenger is a very reliable car for the money. My Dodge Avenger was bought used with only 40, 000 miles on it. I love driving it, as it is just my size and I feel like I am driving a sports car (without paying the sports car price!??). I love almost everything about the car— the automatic seats, the Sirius radio, the heated seats, the sunroof, and the leather seats. It drives very well too, has a lot of pick up and go! The only thing that I absolutely 100% do not like about the vehicle is that to change the battery, you cannot just pop the hood and change it. . No, instead you have to actually have the vehicle hoisted up at a service center in order to even have access to the battery. Thus, I am forced to take it to a service center anytime the battery needs to be changed/checked. It seems like they (Chrysler) would have made it easier for the average everyday person to change the battery themselves. 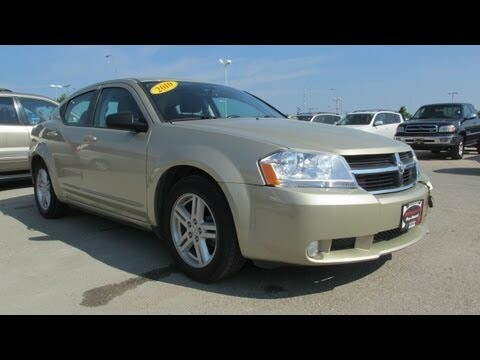 Other than that I am thoroughly happy with my Dodge Avenger and will drive it until it completely cannot drive anymore! The car is comfortable to drive. great features. has great pickup for a 4 cylinder car. I have had issues with electrical in the vehicle and other dodges in my family have had the same. I have had to rewire the seats in the car so that the airbags would work and I frequently have issues with the automatic windows and doors. The chronometer in the clock is awful. it never keeps correct time. if you rest it it loses about 1 min every 2-3 weeks. I highly recommended the Dodge Avenger! It is reliable and runs good. When I first got my vehicle everything was fine! As time goes on however, I am experiencing slight problems with my air conditioning system, and my catalytic converter. Easy fixes for both for the most part though. Really easy on oil and reliable for long trips! I have put almost 60, 000 miles on it since I bought it a year and a half ago and besides the minor problems I mentioned earlier there have been no other major problems!